Abby Kelley Foster was a Massachusetts anti-slavery lecturer, organizer, and fundraiser. The daughter of Wing and Diana Daniels Kelley, Abby was born in Pelham, Massachusetts, on January 15, 1811. She was raised a Quaker, and attended common school in Worcester, MA, and the New England Friends Boarding School in Providence, Rhode Island. She paid for her tuition by teaching, and she became an educator upon her graduation in 1829. In 1836, she moved to Lynn, MA, to work in the Friends School. After this speech, Abby Kelley devoted herself to speaking for the immediate abolition of slavery, taking on conservative Connecticut as her first mission. Facing hostile audiences, rotten eggs, and worse, her pretty appearance and charming yet forthright style won many supporters. Soon, however, Kelley became the focus of a controversy over female participation in the anti-slavery movement. When she was elected to the business committee at the annual meeting of the American Anti-Slavery Society in 1840, Lewis Tappan and other opponents walked out to found the American and Foreign Anti-Slavery Society. From that point on, Abby Kelley was firmly identified as a “Garrisonian” abolitionist, emphasizing moral principles over political pragmatism in the war against slavery. Abby Kelley is most remembered for her advocacy of "come-outerism" the belief that abolitionists must leave churches that did not fully condemn slavery, but she was also an outstanding organizer and fundraiser. 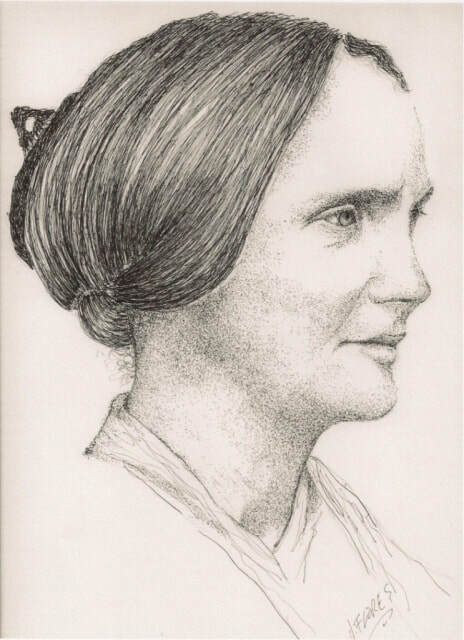 In 1841, she disowned the Society of Friends because the New England Yearly Meeting had violated “its own professed principles on the question of slavery.” Her future husband, Stephen Symonds Foster, the author of the divisive Brotherhood of Thieves or a True Picture of the American Church and Clergy, joined her in this campaign against pro-slavery churches. On a tour of New York State, Abby encouraged activists, including Rhoda Bement of Seneca Falls, NY, to confront their ministers. She also helped revitalize immediate abolitionism throughout the state, helping to found the Western New York Anti-Slavery Society, She traveled extensively through the Old Northwest, serving as the principal link between the eastern and western branches of the movement. In Ohio, she founded the newspaper the Anti-Slavery Bugle, solicited subscribers and raised funds for its benefit in the east. After ill health forced her to stop traveling in the mid-1850s, she became the chief financial agent of the American Anti-Slavery Society. Abby Kelley Foster’s anti-slavery career spanned more than three decades. During the Civil War, she continued to oppose political and violent means to end slavery. After the passage of the Thirteenth Amendment, she believed that abolitionists should continue their agitation, and she fought for the Fifteenth Amendment, which granted African American men the right to vote. Abby Kelley Foster died on January 14, 1887.